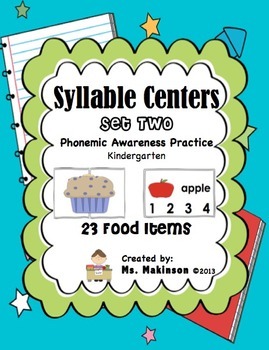 Set Two - FOUR syllable centers perfect for practicing phonemic awareness in kindergarten. 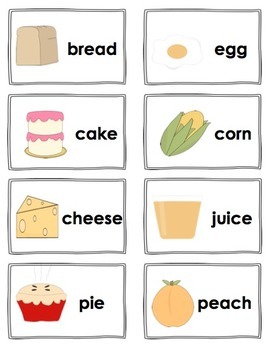 Can also be used as a whole group activity. -4 sorting mats and 4 recording sheets. 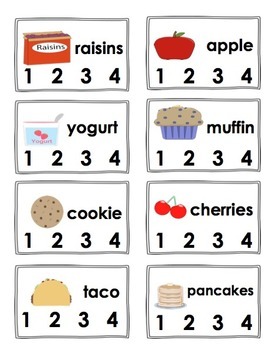 - Say the name of the food item and then sort it onto the sorting mats. 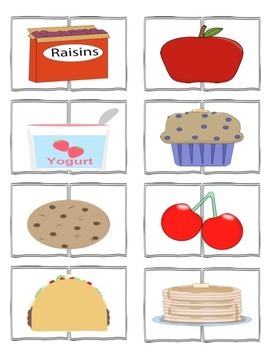 - Say the name of the food item and record the name according to how many syllables it has.